← ClarinetMike’s 101 Clarinet Tips: #32 STOP and PRACTICE! 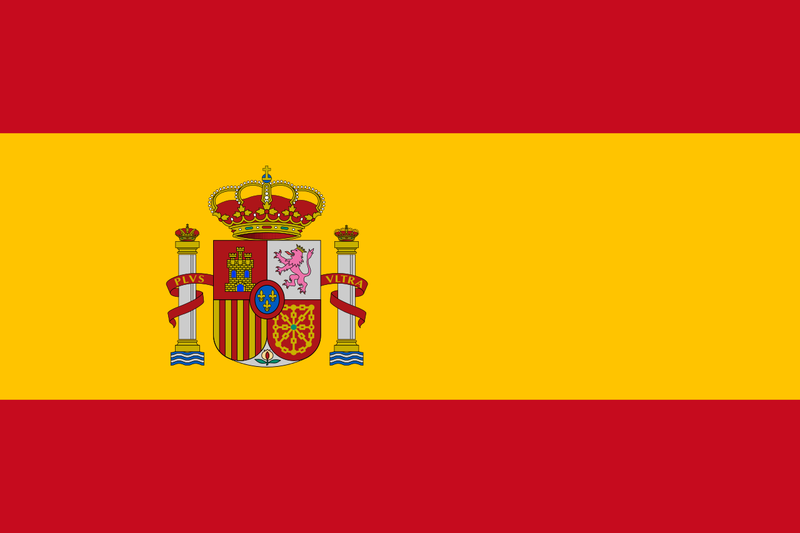 ClarinetMike Performs at Spain ClarinetFest 2015! As previously posted, I’ve been invited to perform a clarinet recital at the International Clarinet Association‘s ClarinetFest 2015 in Madrid, Spain, on Saturday, July 25. Program and Program Notes are below. 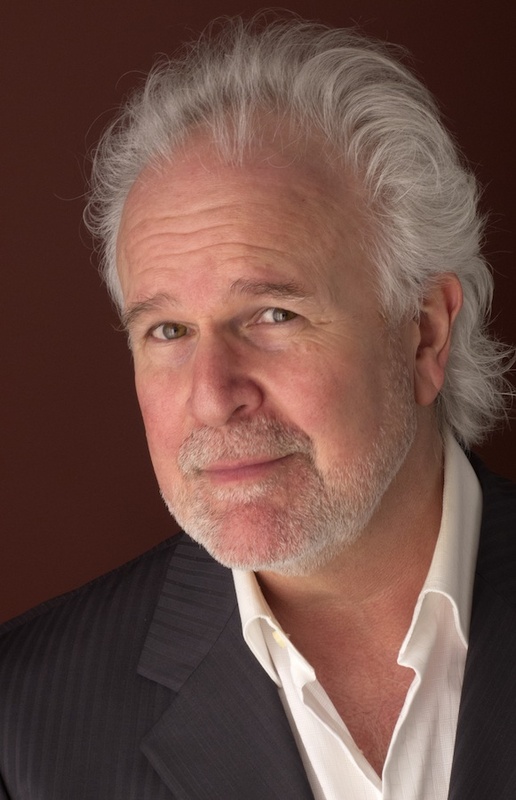 Saturday, July 25, 2015, 12:30 p.m.
Keith M. Bradshaw serves as chair of the music department at Southern Utah University where he teaches courses in theory, aural skills, analysis, and orchestration. He received his Ph.D. in composition from the University of Minnesota, and his M.M. and B.M. from Brigham Young University. Prior to coming to SUU, he founded the music program at Southern Virginia University, and served as chair of the division of arts. Somewhat eclectic, he has composed music for both choral and instrumental ensembles and has received performances across the United States and China. He has served as composer-in-residence with the BYU Singers and in the Minnesota Composer’s Forum Church/Synagogue Residency Program. He is currently composer-in-residence with the Orchestra of Southern Utah. He has been awarded a fellowship in composition from the McKnight Foundation, a commission from the Barlow Endowment for Composition, and won the national “Welcome Christmas” Christmas carol contest from the American Composers Forum. In addition to composition, Dr. Bradshaw directs the Red Rock Singers, a mixed choir of about 40 members from the southern Utah area. He also works as an engraver, orchestrator, arranger, and transcriber, and has had his work published by Oxford, Alfred, and Sounds of Zion. Michael Dean premiered Desertscape at the NACWPI National Symposium at Ball State University in Muncie, Indiana in January of 1999. Dean recorded the work on his Desertscape CD. The sheet music for Desertscape is available from the composer at bradshaw@suu.edu. (Notes by the composer.) Desertscape is a four-movement composition for clarinet and piano depicting various times and events of the deserts and canyons of Southern Utah. Commissioned by Michael Dean and the Barlow Endowment for Composition, the piece takes the listener on a journey from dawn to dusk through narrow canyons, deep ravines, and endless wilderness, where nature displays her stunning beauty and awesome power. The first movement, Desert Dawn, begins with the first hint of light, and grows to a sunrise of brilliant pinks and oranges across the sky. The desert awakens and blooms before the sun’s scorching heat strikes. Andrea Ferrante’s music is performed regularly throughout Europe, Asia, and the Americas, recorded on the Videoradio – RAI Trade and published by Edizioni Carrara (BG) and Edizioni Simeoli (NA). He currently teaches at the Conservatorio di Musica di Stato “Arcangelo Corelli” in Messina, and serves as the Coordinator of the Education program at the Conservatorio di Musica “Antonio Scontrino” in Trapani. 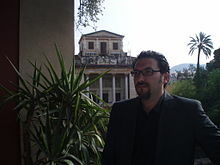 In 2000, Andrea Ferrante won a competition sponsored by the Italian Ministry of Education, Universities, and Research (MIUR). From 1996 to 1999 he served as the Editorial Director of the Neopoiesis Editrice, winning the important “Diego Fabbri” prize sponsored by RAI-Radiotelevisione Italiana. Filtrò poi una luce was originally composed for viola and piano. Ferrante arranged Filtrò for Michael Dean, who premiered the clarinet and piano version in February of 2011 in Cape Girardeau, Missouri. On his 2011 tour of Arizona, California and Nevada, Dean premiered a new version for clarinet and CD – this was also arranged by the composer for Dean. Filtrò poi una luce roughly translates as “filtering of the light.” Commenting on the meaning of the title, Ferrante said, “As when [in] the morning a ray of sun enters from the window of your room… softly.” Filtrò poi una luce (for clarinet and CD) appears on Michael Dean’s Mysteries CD. The sheet music and CD accompaniment for Filtrò is available from the composer at andrea.ferrante@virgilio.it. Composer and teacher, Robert Fruehwald, grew up in Louisville, Kentucky where he played flute in the Louisville Youth Orchestra. He attended the University of Louisville receiving a Bachelor of Music in Composition (with honors). While in Louisville, he studied composition with Nelson Keyes, Claude Baker, and Dan Welcher, and flute with Francis Fuge. He earned his Master of Fine Arts degree at the California Institute of the Arts studying with Mel Powell, Morton Subotnick, and Leonard Rosenman. 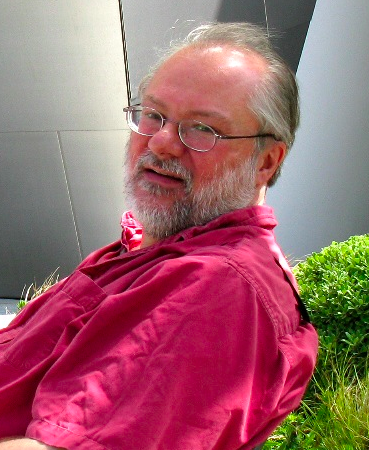 He returned to the Midwest to work on a Ph.D. at Washington University in St. Louis. There, he studied under Robert Wykes and finished his doctorate in 1985. Before accepting a teaching position in the late 1980s, Dr. Fruehwald developed a series of programs to print musical examples for scholarly journals and books. In 1989 he took a teaching position at Southeast Missouri State University. Dr. Fruehwald has taught numerous subjects at Southeast including applied composition, music theory, applied flute, electronic-computer music, and the history of modernism. 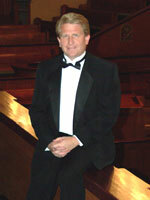 He served as chair of the department of music from 1995-2000. Distant Voices was originally composed for flute, oboe, clarinet, and CD. This version for clarinet and CD was commissioned by Michael Dean. He premiered it on his 2011 tour of Arizona, California and Nevada and recorded it on the recently-released CD, Woodwind Music of Robert Fruehwald, Vol. 2. The sheet music and CD accompaniment for Distant Voices is available from the composer at rfruehwald@semo.edu. (Notes by the composer.) Years ago I became fascinated by the idea that sounds from long ago could be preserved. I read an article about Richard Woodbridge III, who was supposed to have extracted sound from 6,500-year-old Mesopotamian pottery. The recording was supposed to be scratchy and indistinct, but it was supposed to contain the sound of a potter’s wheel in addition to vocal sounds. I have never been able to track the recording down, I’m not even sure whether the recording is real or a hoax. Still, the idea of the thing is evocative and it gave me the idea for a piece—Distant Voices. Most of the piece is based on recordings made more than a hundred years ago. These include the sound of a choir of thousands singing Handel in London’s Crystal Palace on June 29, 1888, a bit of Brahms, a concert band circa 1900, an advertisement for an Edison phonograph, and the voice of Edison himself. The end of Distant Voices was inspired by the Mesopotamian recording. It contains noise, with faint vocal sounds. The very end of the piece includes the most distant sound of all, the sound of the Huygens space probe flying through the atmosphere of Saturn’s moon, Titan. For over three decades, James Grant has been commissioned by individuals, choruses, chamber ensembles and orchestras who have performed his music throughout the world. He is a past first-prize winner of the Louisville Orchestra competition for new orchestral music and, in 2002, was one of five American composers to win the Aaron Copland Award. Grant’s colorful musical language is known by musicians and audiences for its honed craft and immediacy, and his ability to compose music appropriate to specific levels of experience has found him working with groups ranging from professional orchestras, choruses, solo recitalists, new music ensembles and ballet companies to community choruses, university choral and instrumental ensembles, and youth orchestras. His music is regularly programmed at music festivals, symposia, and clinics; and his desire to compose new music for a given repertoire and specific instrumentation has led to many successful consortium commissions, a concept championed by the composer. A dual-citizen of the United States and Canada, Grant and his wife, fine-art photographer Elizabeth Siegfried, live and work in Oxtongue Lake, Ontario, Canada and Sarasota, Florida, USA. Chocolates for clarinet and piano is a version of a work originally commissioned by and dedicated to violist Michelle La Course. Michael Dean will be recording “Triple Mocha Indulgence” and other works by James Grant for his new 2016 solo clarinet CD, Postcards From Silver Lake. The sheet music for Chocolates is available at jwpepper.com. (Notes by the composer.) Slow Jazz. Chocolates are jazzy torch songs in the tradition of the passionate, tuneful ballads of the American 40s and 50s. “Triple Mocha Indulgence” is slightly less soul-searching than the other Chocolates. It is ebullient and progressively becomes animated (a sugar high perhaps?) right up to its raucous close. This entry was posted in All, News, Performance & Pedagogy and tagged Clarinet, ClarinetFest, ClarinetFest 2015, clarinetmike, Spain ClarinetFest. Bookmark the permalink.